In the holding industry, safety is crucial in the production process. In order to ensure safe processing, pieces of the product are automatically clamped to the table using suction heads. A vacuum is created and then kept constant to ensure that the work pieces are firmly held in place during the processing. 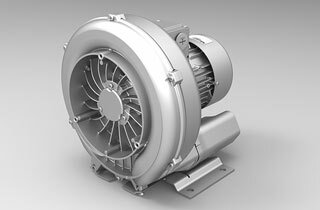 Airtech Vacuum Incorporated as a manufacturer and seller of vacuum pumps and systems, we offer all solutions for any of our clients’ needs in the holding industry. We have quality solutions for holding and lifting, drying, clamping, veneering and laminating. At Airtech, all the solutions for the holding industry are efficient, cost effective and of highest quality. Having a stable vacuum system for holding wood pieces is an important factor in wood processing. For strong stable performance, a vacuum that is efficient and wear-free is required for maximum holding capacity. 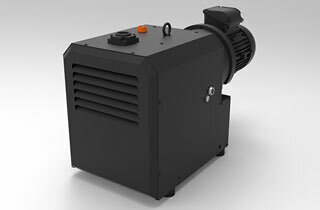 At Airtech, Our pumps require very little to no maintenance at all and use less energy for processing. With Airtech vacuum pumps you will enjoy energy savings, vacuums that work at constant high speed and a dry operation with no fluid spill inside the chamber. Protecting wood before and after processing is also a very important process in woodworking. Insects, heat, moisture, and environmental influences can be destructive to wood. For this reason, wood preservation is necessary. Soaking the wood in a preservative solution has been the common method for along time but has the disadvantage that the solution only soaks a few millimeters of the wood. For complete preservation, a vacuum is used to degas and dry the wood, the solution is then able to penetrate much deeper into the wood for maximum preservation and protection. Vacuum dryers used in wood drying chambers greatlyreduce the time wood takes to dry. Wood typically takes several weeks to dry. The use of vacuum dryers reduces the time to a mere 3 to 4 days. As the drying process is taking place, pressure inside the chamber is gradually reduced to minimum. The chamber is then pressurized with steam and the air evacuated to avoid cracking the wood as well as discoloration from too much oxygen. Why choose Airtech Vacuum Incorporated For Holding? 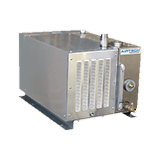 Airtech Vacuum Incorporated was founded in 1982 and we have over 30 years of experience in manufacture of high quality vacuum and pressure products. Our goal is to perfectly meet all you expectations with the right product for your production. At Airtech, we give our clients the opportunity to interact with our highly skilled engineers and technicians for all the information they may need. We are an ISO9001-2008 certified company. Therefore, you do not have to worry about the quality of our vacuums and pressure systems. With our unmatched range of vacuum and pressure systems, you can rest assured that we provide the best of quality.We make sure to offer our clients with products that are cost effective, products that have environmental compatibility, durability and amazing after-sales service. You can’t go wrong with Airtech Vacuum.You don’t just acquire a product, you get a solution. Peruse through our inventory today for holding equipment and but from us today.